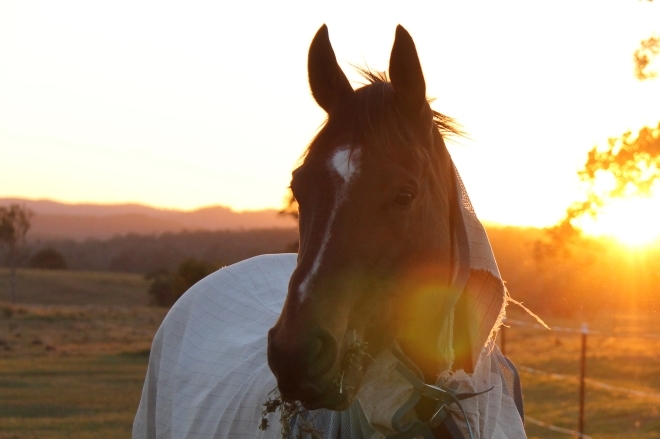 Our horses come in all shapes, sizes and personalities - there's a perfect match for everyone! 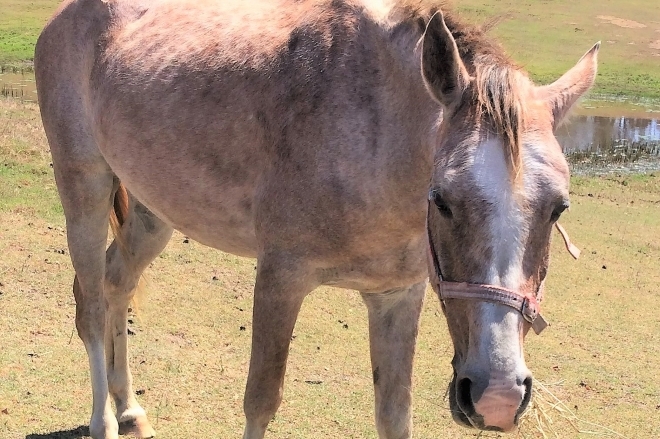 Mack is an 8yo Thoroughbred gelding. He is gentle and kind and loves nothing better than a good long grooming session! He is the day-dreamer in the herd, frequently drifting off into a world of his own, only to come back to reality and find that he’s been left behind! Whilst just 16hh, his loooong neck makes him seem so much taller and he is affectionately known as Giraffie. Kazu is a 4yo Arabian gelding and the newest member of the herd. He’s currently in quarantine until his vaccinations are up to date and then he’ll start his rehabilitation and training journey with us. Given his lack of handling in the past, he’s a very sweet and gentle boy. 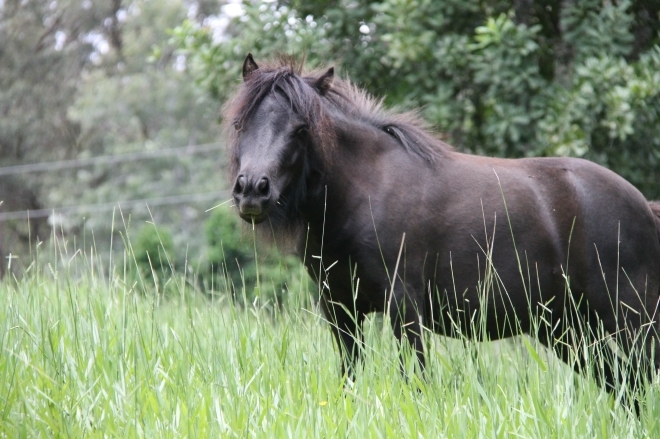 Mumma is a 15yo Miniature Shetland Pony mare and is absolutely the sweetest, most gentle pony you will ever meet. She’s had her share of major illness and injury but always bounces back. Affectionately known as ‘the wonder pony’ by her vet, Mumma will help you overcome your fears and teach you to be resilient. She is Sooty’s mum. 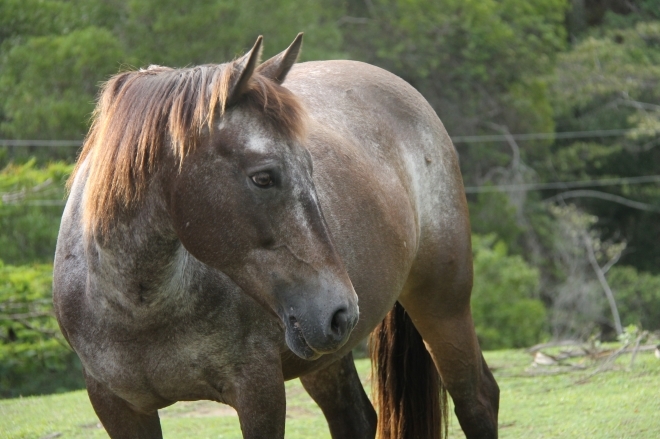 Indy is a 13yo Brumby mare and is the lead mare of our herd. Strong, confident and calm, Indy is all no-nonsense and a truly amazing communicator. She insists on your full attention and constant wither scratches. She also never stops talking which has earned her the nickname of Little Miss Chatty. 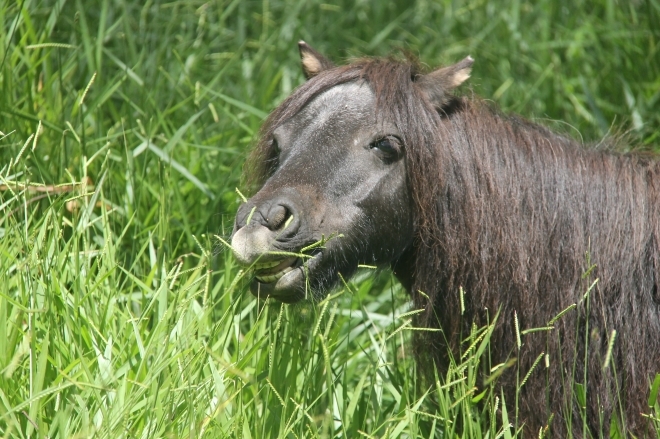 Sooty is a 4yo Miniature Shetland mare and she’s all about kisses! Being super close is her thing; as is exploring – take your eyes off her for a second and she’ll be tickling your ears, licking your toes or emptying your bag for you! She’s a superstar free-jumper and can clear a 1m jump that’s taller than she is! She is Mumma’s daughter.